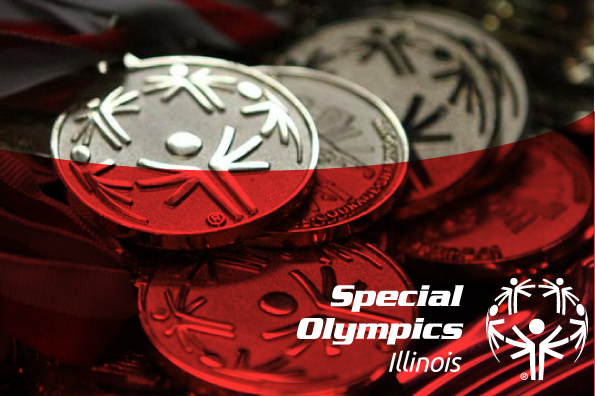 This September, roller coaster enthusiasts will unite at Six Flags Great America for Special Olympics Illinois. Dennis and Deborah Martin are among those who will compete in the 3rd Annual Coaster Challenge on Sept. 25. This is the couple’s first year participating in the Coaster Challenge or any Special Olympics Illinois fundraiser, though they have watched other events to support Dennis’ sister. The Martins are members of American Coaster Enthusiasts (ACE) – a non-profit organization founded in 1978 that focuses on the knowledge, enjoyment, and preservation of roller coasters. “I have loved coasters since I was very young and found that Dennis really enjoys them too,” Deborah explains. Participants can choose to sign up to ride a 5K, 10K or Marathon worth of world-class roller coasters with fundraising minimums and incentives increasing with each level. Dennis and Deborah will both compete in the Marathon level and to that end have raised a combined $1,225 so far. When asked if they have any tips on fundraising, Deborah says she has mainly spread the word on social media, asking friends and family to support their efforts. After their race is complete, medals will be awarded and participants can feel free to stay and enjoy all the benefits that Six Flags has to offer – including Fright Fest. Coaster Challenge participants and donors will likely find the Martins in line for the Viper. 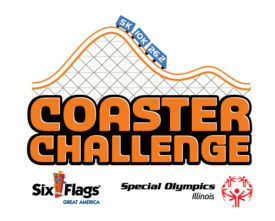 Registration is now open at www.coasterchallenge.com.